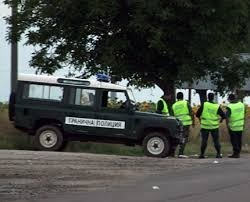 Bulgarian Border Police have intercepted numerous cases of illegal immigrants crossing the Bulgarian-Turkish border in the last 24 hours, detaining a total of 54 foreign nationals, the Interior Ministry announced. 39 of those detained are Syrian citizens, while 9 are from Morocco, 3 from Palestine, 2 from Algeria and 1 from Mali. Nationals of full age have been temporary detained, while mothers and the children were accommodated in special facilities. Bulgarian officials informed earlier this week that the number of illegal immigrants crossing the Bulgarian border has increased twofold in 2013, compared to the previous year. It has reached over 3 000, with 1 600 of them coming from Syria. The sharp and ongoing increase of Syrians entering Bulgaria is attributed to the ongoing conflict in the country. 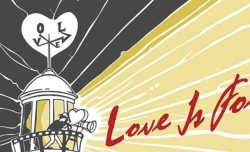 The 21st edition of the International Film Festival “Love is Folly” began Friday evening in the Bulgarian Black Sea city of Varna. The opening ceremony included the traditional red carpet walk of top Bulgarian movie stars, directors, producers and foreign guests in front of the Festival and Congress Center in the city. The opening ceremony was hosted by the fest’s artistic director, Alexander Grozev, an acclaimed film critic. The newly-elected Mayor of Varna, Ivan Portnih, was a special guest as the event is held under the patronage of the City Hall. The award for overall contribution was bestowed to prominent Bulgarian movie director, Nikola Korabov, 85, who was met by the audience with thundering applause. Awards for special contributions were handed to Italian megastar Fabio Testi and prominent independent movie director, American Rob Nillson, who are among the VIP guests and were present at the ceremony. Nillson will also preside the jury. He will also present 5 of his movies. 12 films will compete for the grand prize, while a total of 76 from France, Spain, Romania, Turkey, Lebanon, and China, among others, will be shown. This is the most movies in the entire fest’s history. For the first time this year, there are showings in the plenary hall of Varna’s municipal administration building. Admission there is free. The program there includes an Israeli-made documentary on the July 2012 terror attack in Bulgaria’s Black Sea city of Burgas. Also for the first time, the Varna fest has partnered with the Mons International Festival of Love Films in Belgium. There will be several film panoramas titled “Festivals and Prizes,” “On World Stages,” and three separate ones focusing on Chinese, Palestinian and Belgic cinemas. The event closes on September 5. Tickets for the opening and closing ceremonies are sold for BGN 10, for all other showings – for BGN 5. There will be several free showings as well. Russian President Vladimir Putin has called upon the US to present to the UN evidence that Syria was responsible for chemical weapons attacks. Putin said it would be “utter nonsense” for Syria’s government to provoke opponents with such attacks when it was in a position of strength. “I am sure this was no more than a provocation by those looking to drag other countries [into the conflict] and obtain support of powerful international player, particularly the United States,” Putin said about the chemical attack that killed hundreds last week. 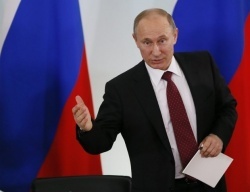 “If they say that the [Syrian] governmental forces used weapons of mass destruction…and that they have proof of it, let them present it to the UN inspectors and the [UN] Security Council,” Putin said, as cited by RIA Novosti. Putin’s remarks came after UN weapons inspectors had left Syria. 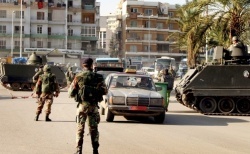 They crossed into neighbouring Lebanon after four days of inspections, including investigations of what happened in the Damascus suburbs on August 21. 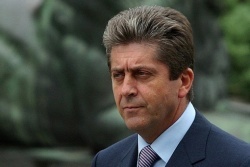 Former, two-term Bulgarian President, Georgi Parvanov, is convinced the left-wing Bulgarian Socialist Party, BSP, is in dire need of a new leadership. Speaking Saturday for the public Bulgarian National Radio, he explained BSP did not need simply younger people, but capable and knowledgeable ones, people who can advance not only the party, but the entire nation. Parvanov explained the parties of former Tsar and Prime Minister, Simeon Saxe-Coburg, National Movement for Stability and Prosperity, NMSP, and of former PM, Boyko Borisov, Citizens for European Developments of Bulgaria, GERB, were a good example that youthfulness is not enough for a political formation to succeed. The former President reminded that he has been calling for an overhaul of the left-wing leadership for two years now, stressing he was not led by revanchist ideas and personal ambitions in this debate. “I watch the European left-wing and notice it is seeking new supporters in new social communities, among the most active segments of the population. It has been a decade-long now problem for the Bulgarian Socialists that active people do not see them as professing their ideas. We need organizational changes. I proposed to strengthen democracy inside the party as now the decisions of BSP are made by a very small circle of people, who have replaced all legitimate decision-making bodies. The current leadership is singling out some supposed enemies among their own and is closing itself in their own capsule,” said Parvanov. He explained that an authentic left-wing leader is always recognized by the large majority of people, but reiterated firmly he was beyond the stage in his life when he wanted to lead BSP. “I led the Socialists during very difficult times, and I can say I was successful. From a party in “critical condition,” I turned BSP into a party that wins elections,” Parvanov stated. For quite a while now, he has been relentlessly and especially critical of the role of the current leader of BSP and of the Party of European Socialist, PES, and former Prime Minister, Sergey Stanishev. After the end of his second 5-year term in office as Bulgarian president in early 2012, Parvanov did not hide his ambitions to reassume the leader’s position of the Bulgarian Socialist Party and oust Stanishev, but had to give up his bid. Parvanov was Bulgaria’s President 2002-2012, and chair of the Bulgarian Socialist Party 1996-2001. The use of chemical weapons in Syria against civilians is absolutely unacceptable, says Bulgarian President, Rosen Plevneliev. Speaking from the Rila monastery Saturday, where he attended the liturgy for the 70th anniversary of the death of Tsar Boris III, the President voiced again his opinion that the perpetrators of the attack must be identified and punished accordingly. “I have been informed that there will be protests today near the Council of Ministries, they might move somewhere else latter. I respect every protest. But the matter here is the Bulgarian State and principles the global democratic community should not give up on,” Plevneliev said in commenting on a protest rally before his office in Sofia, staged by Syrian citizens, who called on Bulgaria to not interfere in the conflict. The President asked the Bulgarian Parliament to follow the example of many others in Europe and hold a debate on the pros and the cons and to assess everyone’s role in the current situation and crisis in the region as it could turn global. Regarding the wave of refugees, crossing the southern Bulgarian border, he stressed it would be very humane for Bulgarians, known for their hospitality, to show respect for everyone’s basic right to receive protection and lead a dignified live. 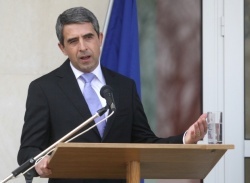 Plevneliev assured his institution was working actively to help the effort to find shelter for the refugees. “On the other hand side, including Friday at the sitting of the Security Council at the Council of Ministries, Bulgaria shows it is dealing with the issue actively; the needed resources have been secured, and we are obliged to show humanity and empathy,” the President concluded. Bulgaria and Greece have agreed to open the new Makaza border crossing point on the Bulgarian-Greek border for vehicles weighting less than 3.5 metric tons. “The road through Makaza is a decades-long dream for people in the region. I am convinced, it will boost tourist trips between Bulgaria and Greece and the development of border regions in both countries, and will significantly alleviate traffic at the other border crossing points on the Bulgarian-Greek border, said Nikolov. However, the international transport corridor, which harbors the potential to stimulate the development of much of Bulgaria’s central regions, did not function until now because the Makaza Pass in the Rhodope Mountains on the Bulgarian-Greek border remained closed. The delay in the opening of the Makaza Pass, which is some 20 km north of Greece’s Aegean coastline, has been consistently attributed to the slow construction of the road on the Greek side of the border. When it becomes fully operational, the Ruse-Makaza Pass road will provide the shortest route from Romania’s capital Bucharest (and much of Central and Eastern Europe, for that matter) to the Aegean / Mediterranean. On Bulgaria’s territory the Ruse-Makaza Pass road (section of Pan-European Transport Corridor No. 9) goes through Ruse, Byala, Veliko Tarnovo, Dryanovo, Gabrovo, the Shipka Pass (Balkan Mountain), Kazanlak, Stara Zagora, Dimitrovgrad, Haskovo, Kardzhali, and Momchilgrad to reach Makaza. It is dubbed Road I-5 (E-85) for Bulgarian government purposes. In 2011, a long-anticipated decision of the Bulgarian government to make the Ruse-Makaza road a “priority project” was justified with the need to absorb EU funds under Operational Program “Transport”, which would allow faster administrative procedures for investments, land expropriation, and construction. The Bulgarian government plans to turn the road in question into a “high-speed way” (with four lanes). Until now, Bulgaria and Greece shared four border crossing points: Kulata-Promachonas, Ilinden-Exochi, Svilengrad-Ormenion, and Zlatograd-Thermes (Xanti). Russian lawmaker Alexei Pushkov has claimed the US is going launch a military operation against Syria by the end of the week. 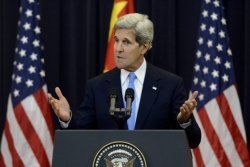 The news was reported by CNN Turk, cited by the Bulgarian “Focus” news agency. Pushkov, head of the Russian Parliament’s (Duma) International Affairs Committee, has said in a statement for Russia’s Interfax agency, that despite Great Britain and other US allies’ withdrawal, the US was determined to attack Syria during the weekend. The Russian politician has stressed that Washington would launch a military attack against Syria despite the lack of official decision from the UN Security Council. According to him, the operation may be backed by France, Turkey, Saudi Arabia, Qatar and some of the member states of the Arab League. Russia, the most powerful ally of Syrian President Bashar al-Assad, opposes any military intervention in Syria, saying an attack would increase tension and undermine the chances of ending the civil war. Russia also holds veto power as a permanent UN Security Council member and has blocked three resolutions meant to press Assad to stop the violence since a revolt against him began in 2011. About 100 Bulgarians have taken once again to the streets of the capital Sofia Friday evening to demand the resignation of the country’s government. The rally was held for a 78th day in a row in the record-long protest in the country. The demonstrators against the Socialist-endorsed Cabinet of Prime Minister, Plamen Oresharski, gathered once again on Independence square in front of the Council of Ministers building. Independence square and “Dondukov” boulevard were blocked for traffic. There was riot police presence. The demonstrators marched on their usual route to the building of the Parliament, which is no longer surrounded by metal fences, but it is still guarded by the police. Anti-government rallies in Sofia may have subsided sharply, but protesters are bracing up for a showdown at the beginning of September. Thousands have pledged on Facebook to attend after the lawmakers come back from their summer break. The Friday evening attendance was even lower than the one in recent days, because many of the participants held tickets for Roger Waters’ “The Wall” show in Sofia. 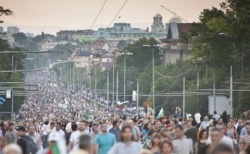 The series of relentless and mass rallies, at times reaching 20 000 and even 30-40 000 in Sofia, was triggered by the appointment of notorious media mogul and lawmaker Delyan Peevski as Head of the State Agency for National Security (DANS) back on June 14. The protesters were not appeased by the subsequent cancellation of the decision and went on to demand the resignation of the Socialist-led cabinet over ties with oligarchs and a number of controversial appointments. Protesters are firm they are going to “meet accordingly” the lawmakers, who are returning from vacation next week. A huge rally is going to be staged on Wednesday, September 4, according to organizers. Smaller protests are to continue until then. You are currently browsing the Business, finances, forex blog archives for August, 2013.